In an effort to bring to you the most affordable and luxurious pen displays available we have found these exciting cases. Each is entirely handcrafted by the Amish in Indiana and each is made of solid cherry wood and finished with genuine brass fittings. 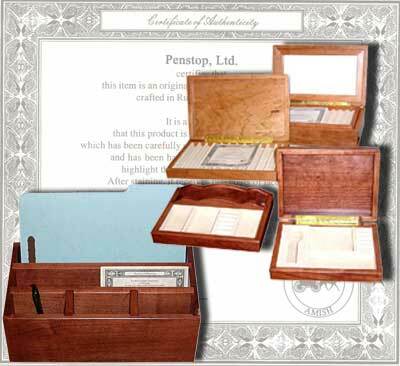 These exquisite pieces are truly a showcase for your fine collectible writing instruments. 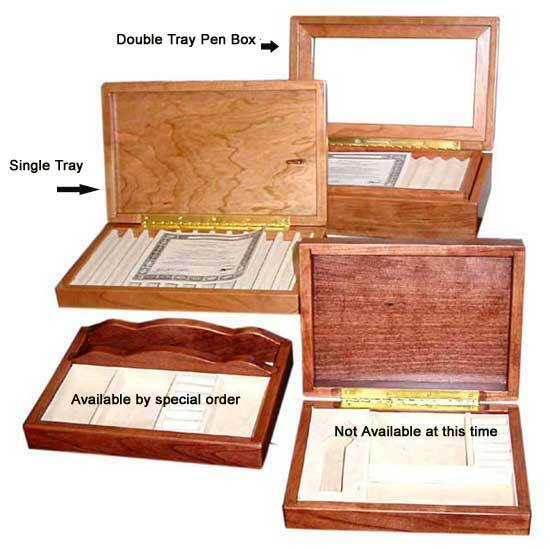 Each piece comes with its Certificate of Authenticity and its place of origin. As with all handmade items, no two pieces are identical. Each piece will have its own character and should be considered a work of art to be cherished for generations. 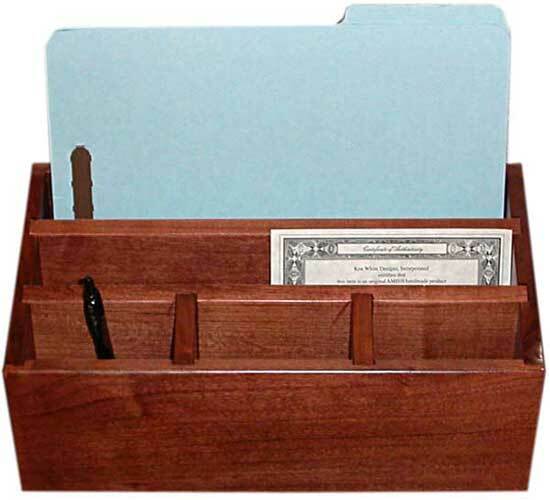 Solid cherry wood desk organizer, a perfect item to clean up and organize any desk, either in home or office. This magnificent handcrafted piece is so incredibly well made that it can be considered a piece of furniture.